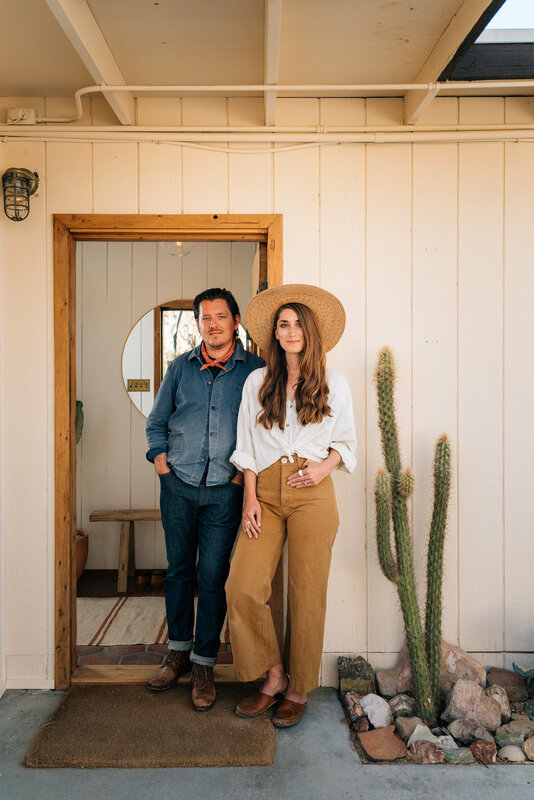 We're Sara and Rich Combs, high school sweethearts who live and dream in Joshua Tree, CA (located in the Mojave desert). 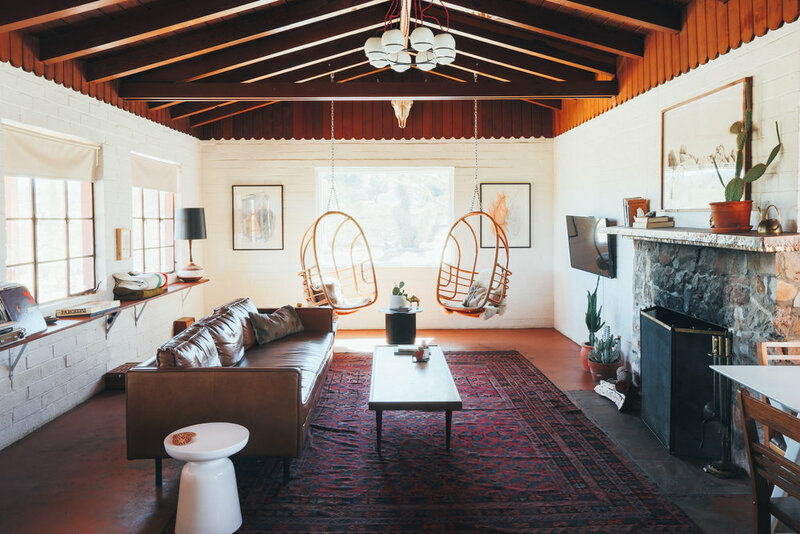 We run our own design studio, as well as our lifestyle brand and vacation rentals called The Joshua Tree House. Living rurally after many years of city living has given us endless inspiration—in the plants, animals, and open spaces we’ve found here in the desert. The Joshua Tree House is our lifestyle brand which encompasses our interior design work, the lifestyle content that we create, our book that we wrote and photographed called ‘At Home in Joshua Tree’, and our spaces that are available for nightly rentals for those who crave an in person experience in the high desert. After leaving our full-time jobs as UI/UX designers to pursue a freelance design career, we set out on a road trip. Movement has always opened our minds and got to think creatively, so we felt that there was no better way to begin this new phase of our lives than driving across the country. Each day we would spend the morning driving, the afternoon hiking national parks and magical looking spots we had found by zooming in on google maps, and evenings working on freelance projects. One of the places we stopped during that road trip was Joshua Tree National Park. The open horizon, rock formations, goofy Joshua Trees, and creative community that we found here stuck in our minds as we continued our travels. When we returned to California, we headed straight back to Joshua Tree to find a space to call our own—we knew that we needed to spend more time in a place like this for our creative health. We craved a project that was our own, to work with our hands, and to have complete creative freedom. After a long search, we found the Joshua Tree House for sale on Craigslist, and then spent the following months making updates and designing the space as a personal creative retreat. We soon found that others were craving the same creative retreat after listing it on Airbnb when we were out of town. Since then, The Joshua Tree House has grown as a lifestyle brand that offers the time and space for people to reflect, reset, and create. The Joshua Tree House is experience based. As designers, we love a beautiful space, but what makes a space memorable in our opinion are the interactions within it. We love considering all of the senses through design, and how good design can gently nudge people to slow down and enjoy even the most ordinary moments. That’s like asking about a favorite child! They each have their own unique experiences—our favorite moments at the House are sitting out on the front porch watching the sunrise with a cup of coffee, while at the Casita it’s laying out in the cactus garden on a new moon taking in what feels like every star.